The reality of life is that it is not a dress rehearsal…this is it. The life I am living and experiencing right now is what it is…that is my life. It is happening in real time and it is REAL. 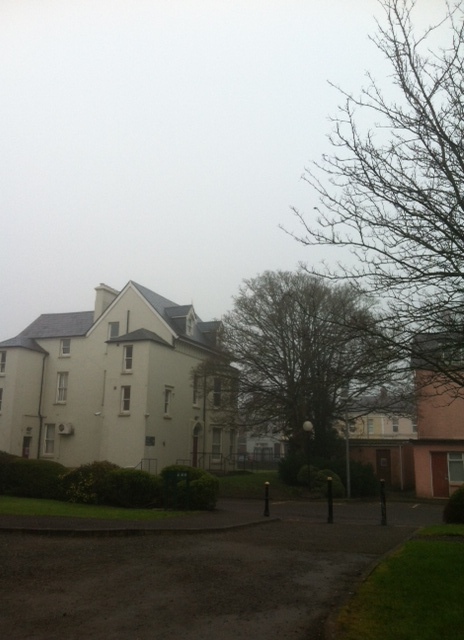 So even when I wake up to this picture…grey and depressing as it may be…I am living this reality. 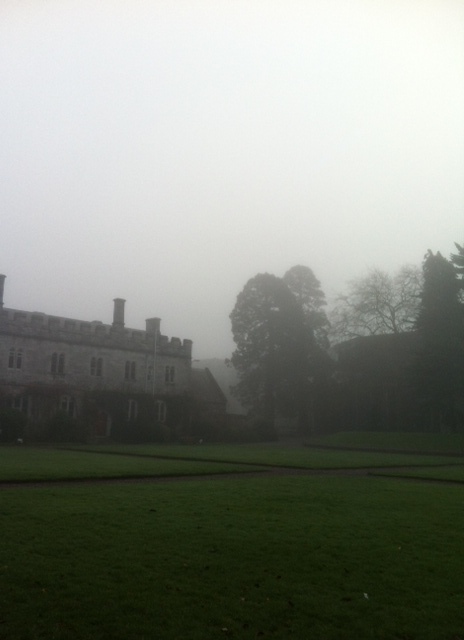 When I go for lectures some days it looks like the pic above…misty, grey and wet at times. I am learning to appreciate each moment, whether the sun comes out or not. God is still present in the mist, and it is still beautiful. Someone may look outside and feel depressed with the weather, but I remembered that I am the sunshine. I bring my own sunshine in the way I choose to view this day…how I feel from inside and the happiness I bring to each task I have before me…that is my light. I think this shows I am adapting very well to Cork weather,LOL!! !